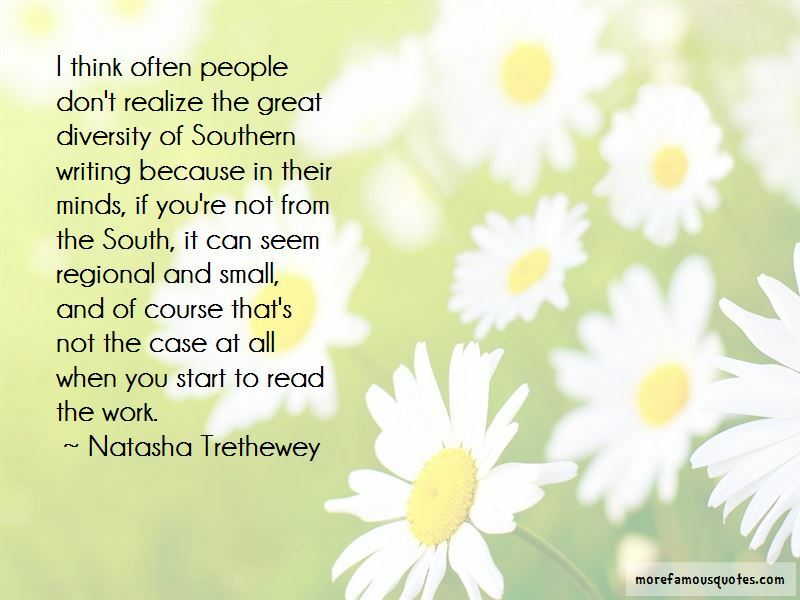 Enjoy the top 71 famous quotes, sayings and quotations by Natasha Trethewey. You can get there from here, though there's no going home. Everywhere you go will be somewhere you've never been. I think the biggest thing that I have to do is to remind people that poetry is there for us to turn to not only to remind us that we're not alone - for example, if we are grieving the loss of someone - but also to help us celebrate our joys. That's why so many people I know who've gotten married will have a poem read at the wedding. Often as a poet I find that I am somewhat outside an experience I want to hold onto, consciously taking mental notes or writing them down in my journal - for fear that I will forget. It's not unlike being on a trip and taking pictures, your face behind a camera the whole time - the entire experience mediated by a lens. I am interested in 18th century natural philosophy, science, particularly botany, the study of hybridity in plants and animals, which, of course, then allows me to consider the hybridity of language. 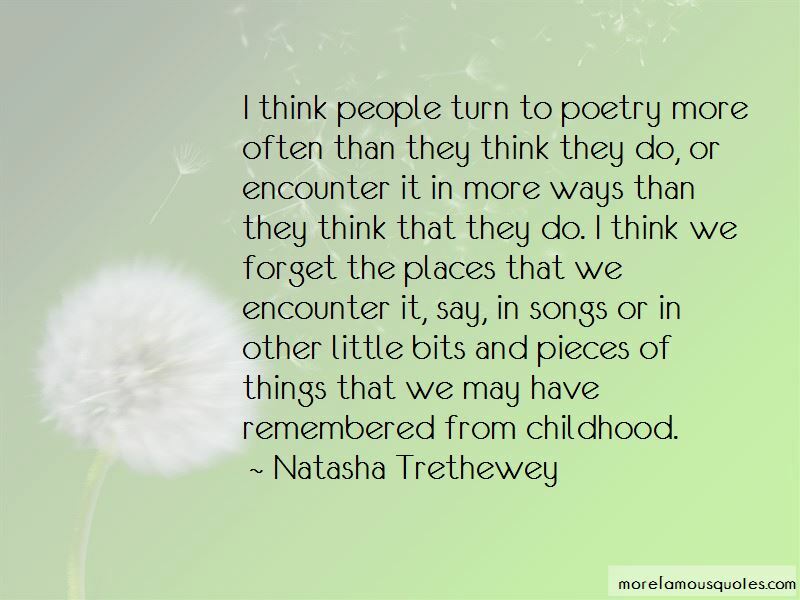 I think people turn to poetry more often than they think they do, or encounter it in more ways than they think that they do. I think we forget the places that we encounter it, say, in songs or in other little bits and pieces of things that we may have remembered from childhood. The more I've gotten interested in writing about history and making sense of myself within the continuum of history, the more I've turned to paintings, to art. I look to the imagery of art to help me understand something about my own place in the world. When you begin to think about the past, you realize how much of it is lost to us. My father is a poet, my stepmother is a poet, and so I always had encouragement as a child to write. My mother and my father divorced during the time that my father was getting his Ph.D. at Tulane. Before I was ever a poet, my father was writing poems about me, so it was a turning of the tables when I became a poet and started answering, speaking back to his poems in ways that I had not before. I think that as a poet, I am always concerned about history and baring witness to history. But so often, it's through the research that I do, the reading. Writing 'Native Guard,' I didn't know I was working on a single book. I began writing that book because I was interested in the lesser-known history of these black soldiers stationed off the coast of my hometown. 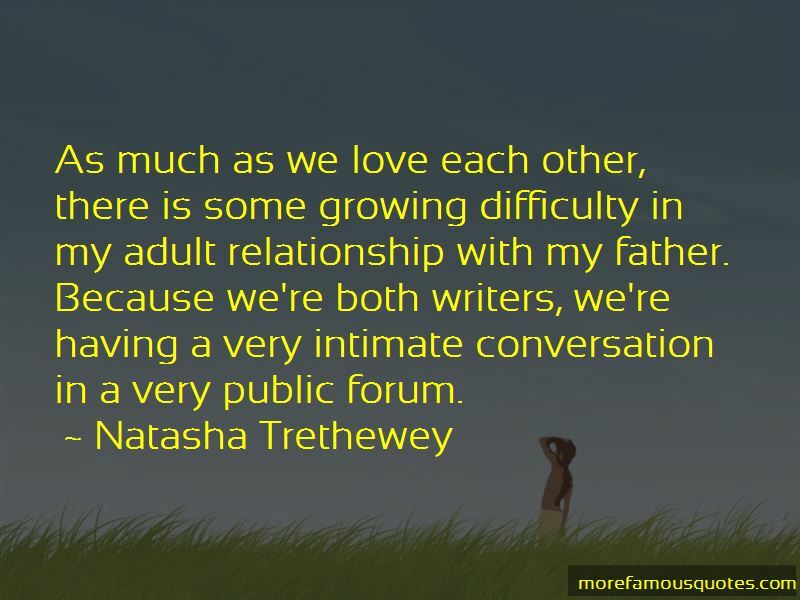 Want to see more pictures of Natasha Trethewey quotes? 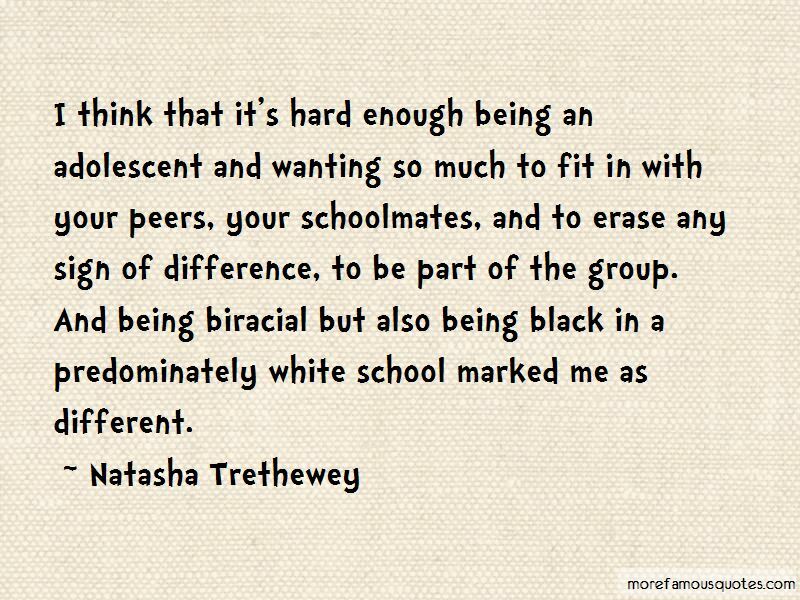 Click on image of Natasha Trethewey quotes to view full size.